In an earlier blog, I wrote about how the slides were not the presentation and that the design of the slides needed to be almost the last thing you did when preparing for a presentation. Not the first thing that you do and not because they are a great way of having your script visible so you don’t forget what’s coming! This blog is about the approach to take when you do decide that you want to have slides. The best advice I was ever given was to think about what slides were. They are visual aids. And the clue is in the name. Visual Aids. They are there to aid your presentation ( i.e. what you are saying) visually. So the best slides are …pictures and images. You can’t get more visual than that. And with today’s access to pictures, photographs and images being so easy, there is really is no excuse not to use them. Second best slides are graphs, diagrams, models. Design these specifically for the point you want to make – so dropping in a spreadsheet or graph from the quarterly report won’t hack it. It will be too small and have too much information on it. Edit out all extraneous information and have clear VISUAL data. If you have to use words (!) then display them visually. The standard bullet point format provided in PowerPoint templates is a real killer of engagement and energy. 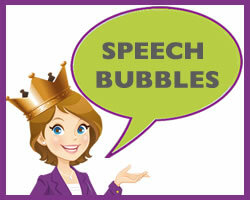 One word in large bold type, words scattered around the slide, speech bubbles, mind maps, pictures with a word or two against the background…be creative and break away from the bullets! Above all, check that you know exactly why those slides are in the deck. Question their place there. If you don’t know for sure why a slide is in there or if it is in there for your benefit only, then it probably shouldn’t be there in the first place. Lots of speakers have slides that act as their script, that list their content and ultimately say the things they themselves are going to say. The impact of that on delivery is disastrous. People read from the slide, they repeat what is written to the interminable boredom of the listeners and they squish any life, energy or meaning from their speech. Does it stimulate the audience? Does it connect or resonate with the audience? Does it add meaning or value? Does it engage emotionally and/or mentally with the audience members? Does it reinforce what’s being said? Slides that are there for a reason and are there for the message and the audience will be well designed. And they’ll have an impact. A good book to read is Presentation Zen by Garr Reynolds and slide:ology by Nancy Duarte. 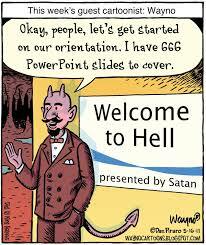 And of course comment or call if I can help with your presentation, and your slides. How do I design PowerPoint slides? How do you engage the audience – or how do you stop them from falling asleep?